Dim dim. Dabbleboard. Mystitool. Crystal Gadgets. Are we in the slot-machine room in some Vegas casino? These sound like games of chance, but they are actually favored tools for educators and their students. We met last week to discuss our favorites, and the transcript, packed with URLs and SLURLs, can be found at this link. One I know I'll use: Pmiller's shared media tools bookmarks (as soon as I get up the courage to use Viewer 2). 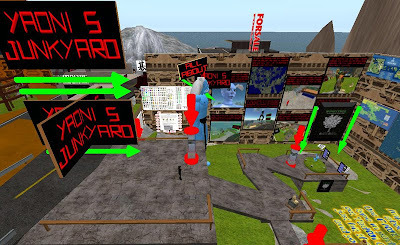 What amazed me, as ever, is the sheer number of useful tools, from whiteboards to video-capture applications to in-world gadgets, that educators and students employ in Second Life and in OpenSim grids. Comb through the transcripts, colleagues, and see what you need in your virtual toolboxes.